We are surrounded by gloomy, dark clouds circling above our heads. We are harassed by lightning strikes, followed by a deep downpour. We are drenched. We are in the tumultuous storm. We see very little good in the blackened skies. And then, we turn off the morning news, and start our day. In the midst of such “doom and gloom” in our world, we are conditioned to think that silver linings and specks of sunshine are rare items, mostly extinct. In this CLU Live! 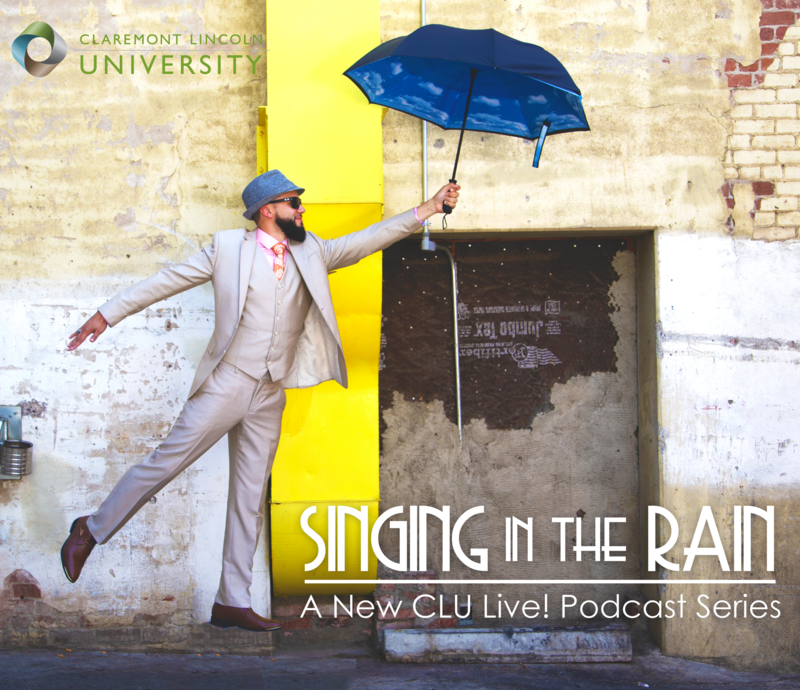 podcast series, we’ll take a look changemakers who are “singing in the rain” despite difficult times—artists, innovators, and educators who are brightening the horizons, pushing past negativity with persistent positivity. Singing in the Rain, we hope, will challenge your thinking, downsize pessimism, and, of course, inspire you to sing and dance in your own way—despite the rain.